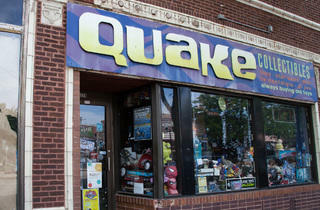 You might bring your kid along to Quake Collectibles, but you're secretly going to relive your childhood. While it also carries modern toys, the store's real bread and butter is the best of the glory days–old-school Transformers, GI Joe, throwback Star Wars action figures, Strawberry Shortcake, Pez (yep, remember those?) dispensers, vintage lunch boxes, and so much more. A dream for everyone from kids to toy collectors, you can't not find something here. El stop: Brown to Western. Bus: 11, 49, 78, 81. 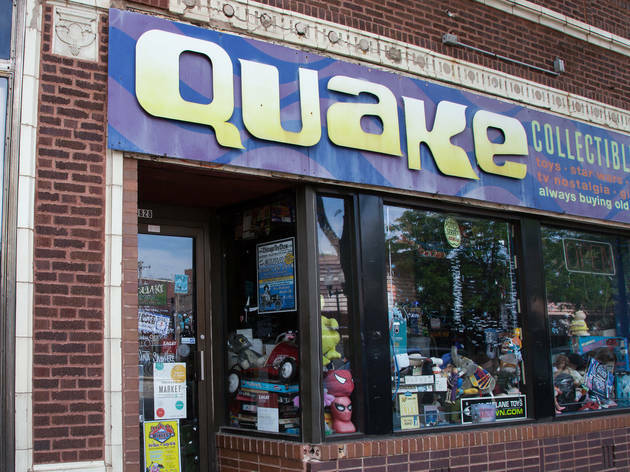 Quake doesn't look anything like the toy stores you went to as a kid—it's messy, disorganized and filled with items that are in less than mint condition. But if you're on the hunt for an action figure from your youth or a model to display on your desk, you'll probably find it here, as long as you're willing to dig for it. From Star Wars to Ninja Turtles, there are loose and in-box items for all types of fans.